Ireland’s Women’s Team Pursuit has smashed the National Record set in 2015 by more than 2 seconds, with a huge top-10 ride in Pruszków, Poland. 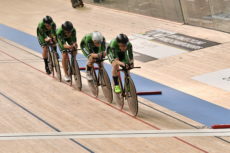 Orla Walsh, Mia Griffin, Alice Sharpe, and Kelly Murphy made their UCI Track Cycling World Championships debut on Wednesday, being the first Irish riders to take to the course on the opening day of the event. The foursome were also first of 17 nations to ride in the qualifying session, and opened with a time of 4:29.148s. 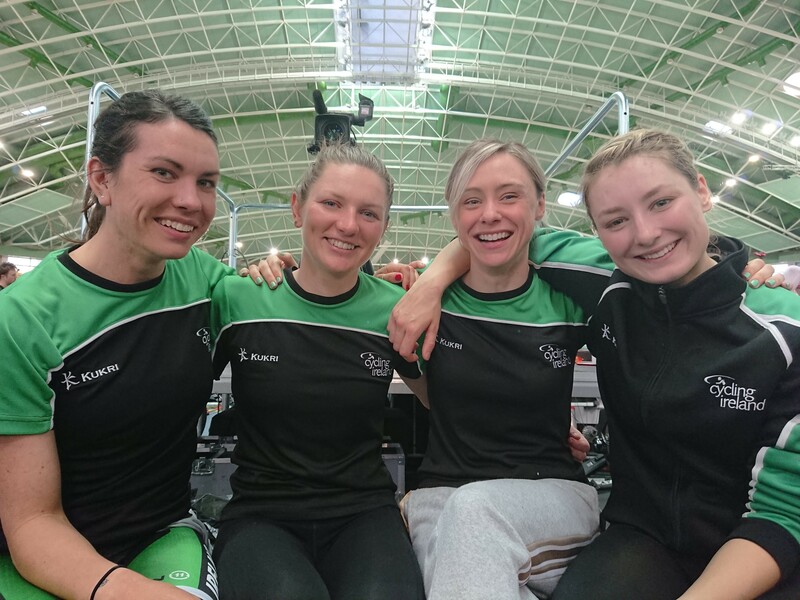 It broke the Irish National Record of 4:31.66s, set by Lydia Boylan, Josie Knight, Caroline Ryan, and Mel Spath at the 2015 European Track Cycling Championships, by 2.512 seconds. The time earned them 10th place. Mia Griffin said: “We want to continue progressing as we have done all this year. 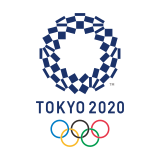 We’re going to put our heads down, stay focused after the summer and go into the Track World Cups ready. Kelly Murphy said: “We came here to ride under 4:30s, finish in the top 10, and break the Irish record. We prepared pretty hard, and our coach Brian Nugent got us in the right zone for the day. 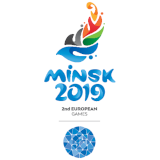 Still to come for Ireland at the UCI Track Cycling World Championships on Wednesday is Lydia Gurley in the Women’s Scratch Race at 6.40pm, Irish time.